• Beta Theta Pi pledge Timothy Piazza died February 4 after a fraternity event. • 18 fraternity brothers have been charged in connection with his death; eight brothers have been charged with involuntary manslaughter. 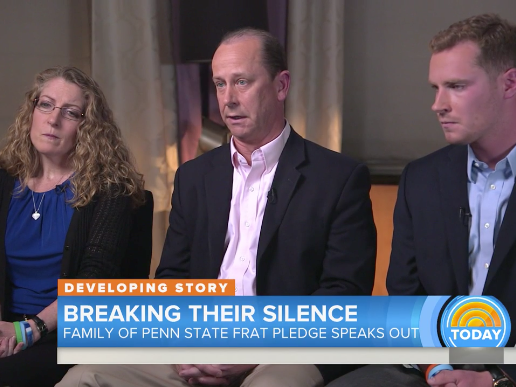 The parents of Timothy Piazza, the 19-year-old Penn State sophomore who died after a hazing ritual in February, described their son’s final hours as torture.